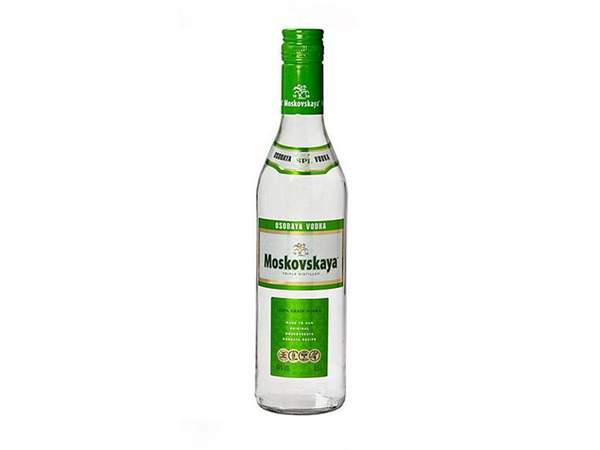 Moskovskaya dates back to the times of the former Russian Empire, and is in fact one of the oldest Russian vodka brands. The recipe was reformulated in 1938, but since then has been unchanged. Things to note are that it’s been triple-distilled, and undergoes a three-stage filtration process, with quartz sand, activated charcoal and then back through quartz sand. Fresh and spicy on the nose, there’s a combination of aniseed and apple notes. That slight fruitiness comes through on the palate, with a hint of mint, too. A creaminess and a lightness of touch makes this a truly accessible spirit, without being shy of flavour. And though there’s some spice, there’s actually little heat here. Exceptionally good value.